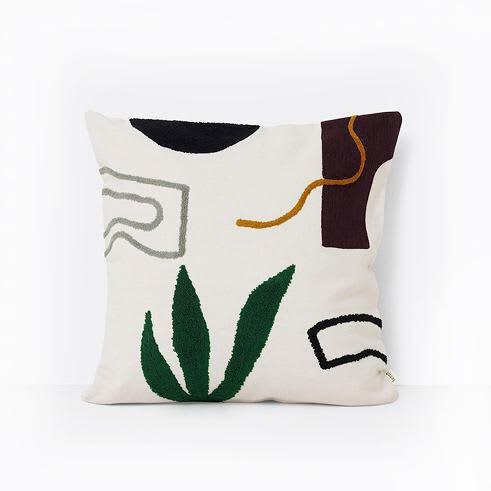 Ferm's range of Mirage cushions feature bold colour beautifully embroidered in a mixture of high and low pile, onto off-white cotton canvas. They'll instantly add texture to a plain sofa or chair. Supplied with a feather and down cushion pad. Size: 50 x 50cm Made from: cotton, feather and down. Hunter Jones in Rye, United Kingdom.